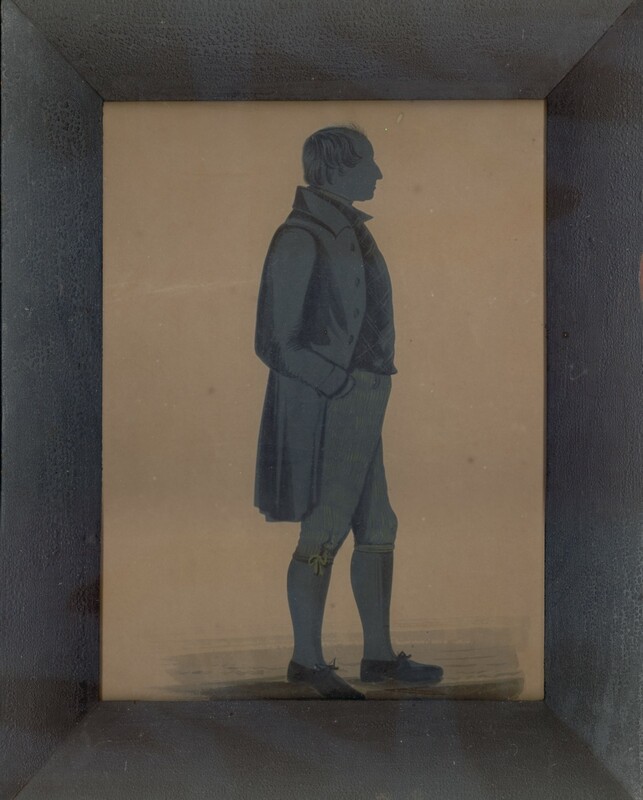 Silhouettes are often dubbed ‘the poor man’s miniature’ reflecting their affordability by working families. Such profiles were often taken by itinerant artists like John Dempsey who mostly worked in the north of England painting street characters. 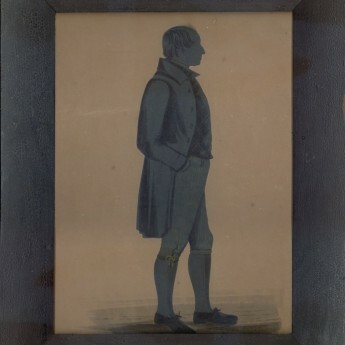 This silhouette appears to portray a working man named John Harding in an overcoat, patterned waistcoat, striped breeches fastened with buttons and string, stockings and clogs. An inscription on the reverse of the frame details the sitter as: ‘John Harding, my mother’s cousin. Born at Barton under Needwood’ in Staffordshire. The silhouette has been cut and then painted in shades of grey with dull gold embellishments. It is appropriately presented in a simple stained pine frame. There is a single worm hole above Harding’s head and a few spots to the background card. Otherwise the silhouette and frame are in good condition. 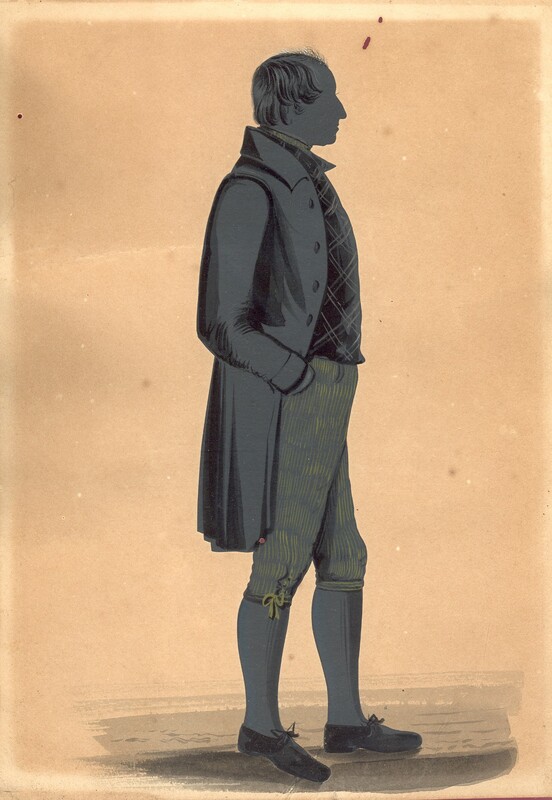 Although a journeyman artist, John Dempsey was a serious professional rival to the better known silhouettist Augustin Edouart. His characterful portraits are well-observed and present a unique record of street life.